A case study in research meets rock: the Reality TV star and Poison legend is a walking miracle thanks to medical science. 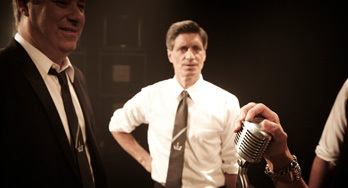 He's singing lead vocals for the cause. 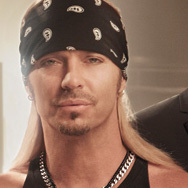 Bret Michaels is, if nothing else, a true survivor. He has survived a lifelong battle as an insulin dependent diabetic, a well publicized near fatal car crash in 1994 and the countless musical trends and fads of the last two decades. “As soon as I ever start to just go through the motions I’ll quit,” confessed the 45 year old singer, songwriter, producer, director and actor in a recent interview. But there’s little chance he’ll even slow down let alone quit anytime soon. In fact, after more than 20 years in the business this award winning, multi platinum superstar’s career continues to move at warp speed. As front man for the legendary rock band Poison, Michaels has sold 25 million records and scored an amazing 15 chartbusting Top 40 singles including “Talk Dirty to Me,” “Something to Believe In,” “Nothing But a Good Time” and the timeless #1 smash “Every Rose Has its Thorn.” And in the new millennium Poison’s music has been featured in such big screen flicks as “Mr. and Mrs. Smith,” “Grandma’s Boy” and “Deuce Bigelow-European Gigolo.” They continue to be one of the industry’s top grossing concert attractions and their 2006 “20 Years of Rock” CD was a bona fide Top 20 gold smash. Poison’s most recent CD is 2007’s “Poison’D” an album of cover songs that have influenced the band members over the years. 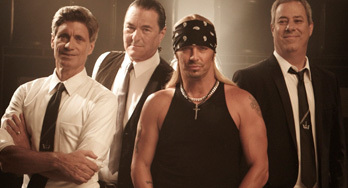 In the mid-90s Michaels formed a film production company with actor Charlie Sheen. The partnership ultimately led to Michaels writing, directing and starring in several films including “A Letter From Death Row” which he executive co-produced with Sheen. As an actor, Michaels has made regular appearances on such hit television shows as “Yes Dear,” “Martial Law,” and “The Chris Isaak Show.” And he has also co-hosted “Access Hollywood” and been a judge on the wildly popular “Nashville Star” program. Recently, Michaels has played for charity on “Don’t Forget the Lyrics” winning $250,000 for St. Jude’s Children’s Hospital and Juvenile Diabetes Research Foundation.